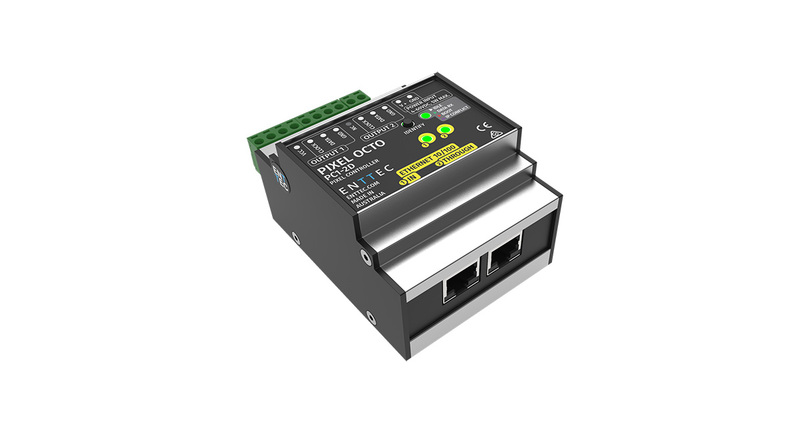 The Pixel Octo is our first 8-Universe DIN-RAIL LED pixel controller, combining high output and flexible power options in a compact, DIN-mountable device. The Pixel Octo has a flexible voltage range of 4V-60V, making it one of our most versatile controllers yet. 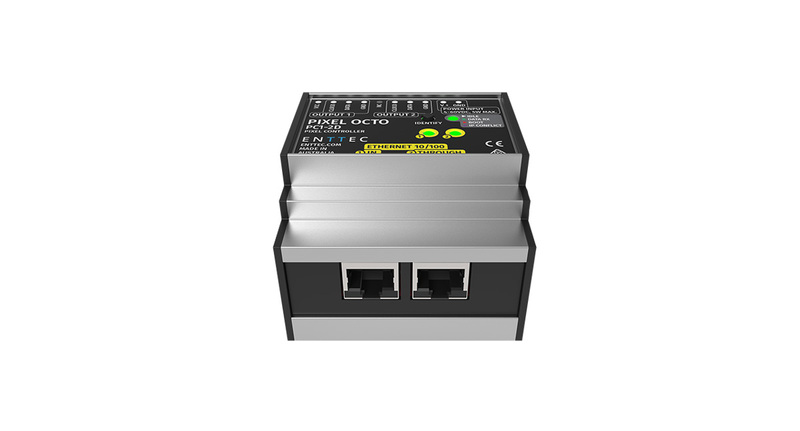 The Pixel Octo is easy to install, service and configure. You can power the Octo directly by the pixel dots or tape to streamline your setup, and there is an accessible reset button for when you just want to start over. The button doubles as an identify button, to help you easily check the connection and performance of the device. One of the most exciting features is the ability to edit and create presets using the inbuilt effect generator via virtual faders on the web interface. You can edit the wave type, the background/foreground color, the speed and direction of the wave, as well as the static color. 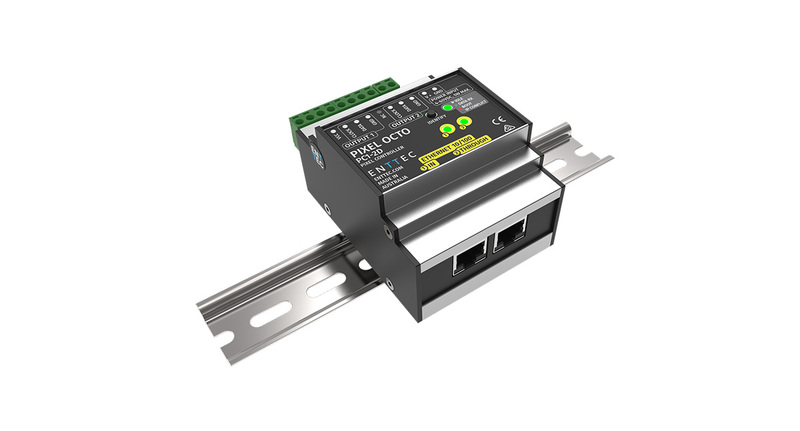 This DIN-RAIL LED pixel controller allows you to save up to 100 different presets and you can also daisy chain up to 15 devices to extend your data. 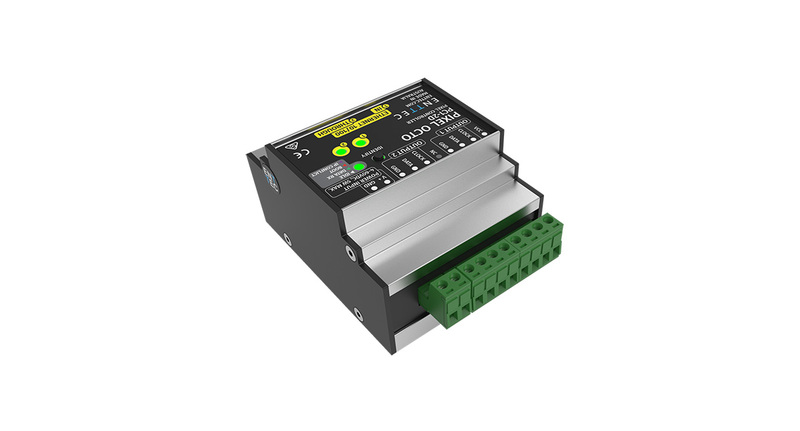 Whether you want to control 5V pixel tape or 60V pixel dots, the Pixel Octo can do it all. With its wide voltage range, you don’t have to have multiple products in your lighting arsenal. 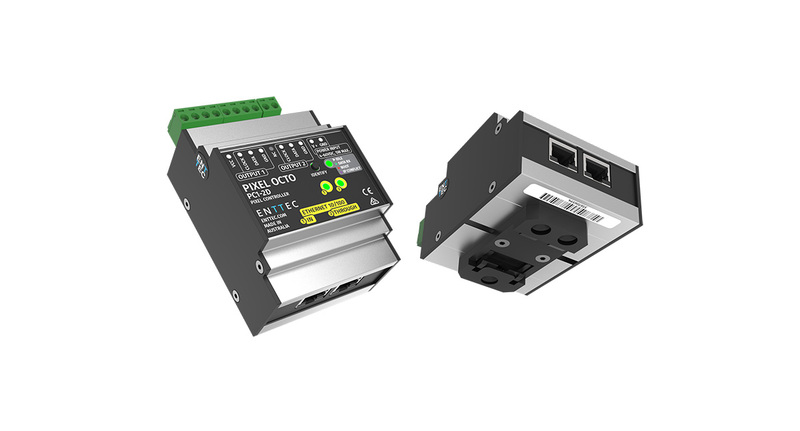 Easy to install, the Pixel Octo is a super-compact DIN-RAIL LED pixel controller. 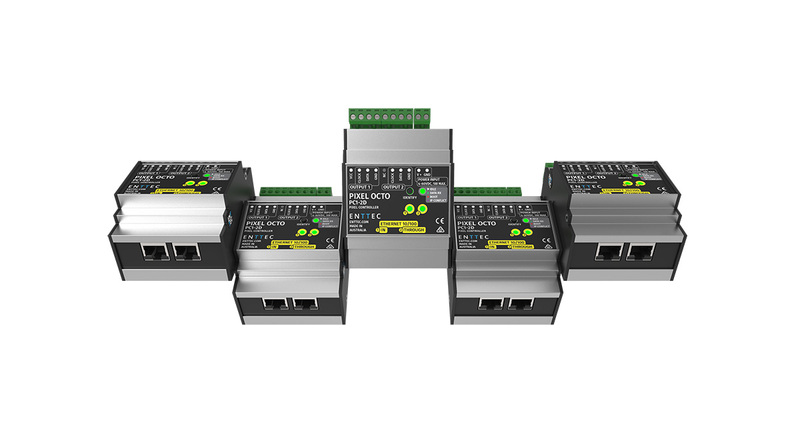 The Pixel Octo supports ArtNet, sACN, KiNet™ and ESP, as well as 3-wire and 4-wire (CLK) LED protocols. Intuitive web-based configuration. Use your preferred browser, and you’ll be able to monitor your set-up in no time. ENTTEC can provide a custom solution for protocol implementation if required. Award winning, ELM: ENTTEC LED MAPPER provides total control over your LED system, regardless of shape and size. Design your layout with vector-based objects for maximum precision and flexibility. High resolution IP67 44mm opal dome RGB 24V pixel dots with 125mm pitch.